Safely and securely storing boats is the primary responsibility of marina owners, so it's important to know that you're covered for any potential damage that may occur to boats on your property. While it may seem to be an easy task, there are many factors beyond your control that could bring harm to the boats entrusted in your care. Alliance & Associates provides marina insurance in Orlando, FL, and the nearby areas to ensure the protection of your assets and the future of your business. We create specialized marina insurance plans based on the size and particular needs of your facility. That way, you won't have to waste money on coverage that doesn't fit the exact requirements and challenges provided by your marina. When it comes to determining the proper choice for your insurance, you need to have coverage for your property and the property of the boat owners who use your marina. Regardless of your budget, we'll be glad to help you get the insurance you need when you turn to our business insurance agency for a free quote. The staff of our marina insurance company has worked in the industry for a combined total of more than 100 years, which ensures that we are fully qualified to meet your unique protection needs. We match you with an insurance agent who will answer any further questions and address any additional concerns that you may have about your coverage requirements. We ensure your total satisfaction and ongoing confidence in our agency by keeping you updated at each step of the process, so you'll be fully informed of any new developments in your insurance plan. Because any business has the potential to be held liable by employees or clients, the safety of its operations and quality of its service must be maintained at all times. In order to ensure the continued success of your marina, it's essential for you to invest in insurance coverage in the event that a claim should ever be made. Our specialized insurance protection for marinas helps to cover the fees for damages from a wide range of claims, regardless of the circumstances. 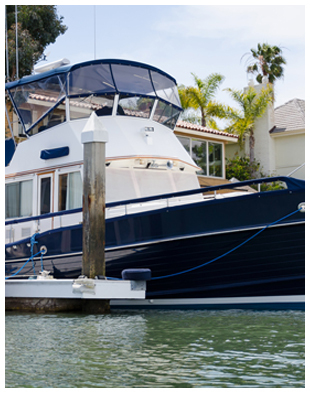 Contact us to find out more information about our marina insurance. We serve clients in Orlando, Kissimmee, Winter Park, Apopka, and Sanford, Florida, and the surrounding areas.